Are you in the market for a new laptop? Unfortunately, not everyone who is in need of a portable computer understands precisely what they should be looking for. There’s a lot you need to think about to find something that works best for your budget as well as computing needs. Is it the size, screen, and keyboard quality, or CPU? Perhaps you are concerned about the RAM, storage, and battery life. Whatever it is you are looking for, there’s always an option that works for you. You can choose from different brands like Dell, which develops some of the best laptops such as the Dell Inspiron 13 7000 series. Here is a comprehensive review of the Dell Inspiron 13 7000 series. What is the Dell Inspiron 13 7000 Series? Before jumping straight into an in-depth review of this laptop, you should know a few basic things about it first. Released in 2015, this laptop rivals its competitors. It has a keyboard and touchpad combo, which is why it’s referred to as the Dell Inspiron 13 7000 2-in-1. The laptop has a 13-inch premium display with an optional Full HD. This vibrant display allows you to scroll as well as zoom the screen without hassle thanks to its 10-finger capacitive touch. This laptop also has an ultrabook notebook type with a 360° flip design. It’s also one of the most affordable laptops you will find in the market. Overall, this laptop has a stylish design with reliable performance. The combination of the versatility of a tablet and the full PC performance of a laptop with a built-in stylus makes this laptop one of the best in the markets for its price. The environmental parameters are another crucial area to evaluate on this laptop. The computer environment can be divided into two distinct categories: operating and storage. The key elements of this environment include the temperature range, altitude, relative humidity, shock, and vibration. The operating temperature range for the Dell Inspiron 13 7000 is between 32°F - 95°F (0°C to 35°C) with the storage range being -40°F - 149°F (-40°C - 65°C). The maximum operating altitude for this laptop is -50 ft – 10,000 ft (-15.2 m – 3048m). The laptop’s maximum storage altitude is around -50ft – 35,000ft (-15.2 m–10,668m). 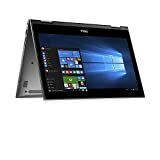 When it comes to relative humidity, the Dell Inspiron 13 700 can operate at a maximum of 10 – 90% non-condensing with the storage maximum being 0 – 95% non-condensing. The laptop can withstand a maximum operating shock of 110 G‡ and storage shock of 160 G‡. Last, the maximum operating level of vibration is 0.66 GRMS and storage vibration of 1.30 GRMS. The Dell Inspiron has a maximum weight of about 3.64 lbs (1.65 kg). Its length is 8.82 in (224 mm), and the width is 12.69 in (322.4 mm). Keep in mind that the length is the shorter side of the laptop when closed with the width being the longer side. It has a height of 0.74 in (18.7 mm). The CPU varies, including Intel Core i3/i5/i7 5200/6500 U/ 2.2/2.5 GHz depending on generation with a maximum turbo speed of between 2.7GHz and 3.1 GHz. The laptop operates on dual cores with 64-bit computing capabilities. It has an L3 type of cache memory with an installed size of 3 or 4 MB. The processor features Intel Turbo Boost Technology 2.0, Hyper-Threading Technology, and Intel Smart Cache. The memory speed is between 1600 and 2133 MHz with configurations of either 1 × 8 GB or 2 × 4 GB depending on the generation of the laptop. RAM technology may be DDR3L SDRAM or DDR4 SDRAM. The installed RAM size on the Dell Inspiron 13 7000 is 8GB. The maximum supported memory is either 8GB or 16 GB. Similar to the RAM, the technologies used are the DDR3L SDRAM or the DDR4 SDRAM. The memory speed is 1600 or 2133 MHz with a form factor of SO-DIMM 204-pin or SO-DIMM 260-pin. Some models have one memory slot and others two but none has empty slots. This laptop has a widescreen display and uses WLED backlight as the LCD backlight technology. It features an LED TrueLife monitor with a 10-point multitouch touchscreen. It uses an IPS TFT technology and a Full HD display resolution abbreviation. Overall, the diagonal size of the screen is 33.8 cm. The Dell Inspiron 13 7000 comes with a Graphics Processor that features Intel HD Graphics 520 or 5500. Its memory allocation technology is shared video memory, and it supports integrated webcam. What’s more, it has stereo speakers, and two microphones with Maxx Audio or Maxx Audio pro features depending on the generation. The laptop has a Hybrid Drive or SSD type of hard drive with a capacity of either 256 or 500 GB. For models using the Hybrid Drive, the Hybrid Drive Cache is 8 GB. The laptop uses both a keyboard and touchpad featuring a precision touchpad and gesture function. It has a wireless protocol of 802.11a/b/g/n/ac and Bluetooth 4.0. The wireless controller is Intel Dual Band Wireless-AC 3165 and features Intel Wireless Display (WiDi) or Miracast. The Dell Inspiron 13 7000 series has no optical drive. However, it comes with a 2-in-1 card reader that supports SD Memory Card, Multimedia Card, SDXC Memory Card, and SDHC Memory Card. This laptop uses the 3-cell or lithium-ion battery technology depending on the generation. The capacity of the battery itself is 42 or 43 Wh. The input for this laptop is AC 120/230 V (50/60 Hz). The output, on the other hand, is 45 or 65 Watts, 19.5 V, 2.31 or 3.34 A. When it comes to connections and expansions, the Dell Inspiron 13 7000 has a number of interfaces. They include USB 2.0, 3.0, and C, HDMI, and a microphone/headphone combo jack. The memory card reader also comes in handy for connections and expansions. This laptop has an excellent sound system. Its dual stereo speakers are not only loud enough but also reproduce clear and accurate sound. The pre-installed Maxx Audio or Maxx Audio pro app allows you to customize your listening experience when listening to music or watching a video. Playback sounds accurate, thanks to the dual microphones built into the laptop’s top bezel. The advantage of this is that listening to the other person during a video call will be a breeze. It’s hard not to notice the sleek design and style of this laptop. It has longer edges that are rounded nicely. Both the side and top bezels are slim, giving it an aesthetically pleasing look. The laptop is convertible, and you can flip the screen around the back up to 360° giving you that tablet versatility. At the height of only 0.7 inches, the laptop is relatively thin, which is ideal for anyone keen on aesthetics. The built-in stylus is also another key feature of the Dell Inspiron 13 7000. With the stylus, you can take notes, retouch photos, make sketches, etc., without hassle. The precision touchpad on this laptop is another key feature worth talking about. This touchpad is spacious and will keep any movements fluid whenever you need to zoom, pinch, or pan around the screen. What’s more, the gesture recognition properties of this laptop allow for not only quick but also smooth responsive performance. The laptop comes with plenty of ports too that you can connect to a range of devices or use to transfer files. The price of the Dell Inspiron 13 7000 varies depending on a number of aspects. Usually, it will differ based on the where you are buying it from and the specifications of the laptop. For instance, the newer 8th generation models will come at a higher cost than their much older 5th generation counterparts. Also, the kind of processor you want will determine how much you will pay for the laptop. For example, a Dell Inspiron 13 7000 with a Core i3 processor will be cheaper than one with a Core i7 processor. With that in mind, the first marketplace you can find a Dell Inspiron 13 7000 is Amazon. Its price on Amazon varies too, and you can find one from around $629 (or cheaper) to about $1499. Remember that the higher the performance, the higher the cost. Costco Wholesale Corporation prices the Core i7, 16GB Memory, and 512 GB SSD at $1,199.99. There are a lot of other places you can get this laptop including your local tech shop. The important thing is to understand the kind of specs you need. 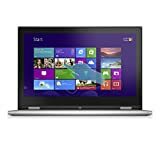 This comparison is based on the Dell Inspiron 13 7000, 8th generation, Intel Core i5, priced at $724.98 on Amazon. The Asus ZenBook Ultra-Slim laptop is priced at $749. It has fast storage and memory, a built-in fingerprint reader, and a Windows Hello feature that makes it quite easy to use. However, it has a 1.6 GHz of processor speed compared to Dell Inspiron 13 7000’s 3.4 GHz. That means it’s slower in performance. Overall, one would give a 3.5 out of 5 stars rating for ease of use. With reference to build quality, the Asus ZenBook has an aluminum body, which is strong yet lightweight. One would rate it at four stars. The warranty is similar to Dell’s, qualifying it for a 4-star rating. The Acer Spin 5 laptop retails at $730 on Amazon. Similar to the Asus, this laptop supports Windows Hello. It also supports 10-finger touch identical to the Dell Inspiron 13 7000. Despite its 1.6GHz of processor speed, it has a Turbo Boost Technology that can enhance the speed up to 3.4GHz. These are some of the features that would make this laptop quite easy to use. As such, a 4-star rating on ease of use would do for this laptop. It also has a metal body that enhances its build quality. One would give a rating of 4 stars too. Last, based on the warranty information about this product, there’s no significant difference with the Dell. With that in mind, a 4-star rating would work. The Dell Inspiron 13 7000 has a sleek design and a bright display. It’s affordable for its specifications and has excellent audio thanks to the dual stereo speakers. It has outstanding performance, owing to its fast speed processors as well as the Turbo Boost Technology. Exceptional in design, display, audio, and connectivity. Perhaps the biggest disadvantage of the Dell Inspiron 13 7000 is its battery life. The Dell Inspiron is a good laptop with exceptional features that will be able to meet all your computing needs. Besides its sleek design, it also offers excellent performance, which is often of greater significance when it comes to using computers. Despite having a shorter battery life, the laptop is worth its price compared to other laptops within that range. With that in mind, this product would be rated 4 stars. While this isn’t the thinnest and lightest 2-in-1 in the marketplace, the Dell Inspiron thirteen 7000 series packs plenty of hardware for a complete PC. The laptop's fast speed processors as well as the Turbo Boost Technology are something to look forward to. Overall, we recommend a rating of 4 stars out of 5 stars. Previous articleA Review of The HP Pavilion dv7 Laptop: Bigger Is Better ?